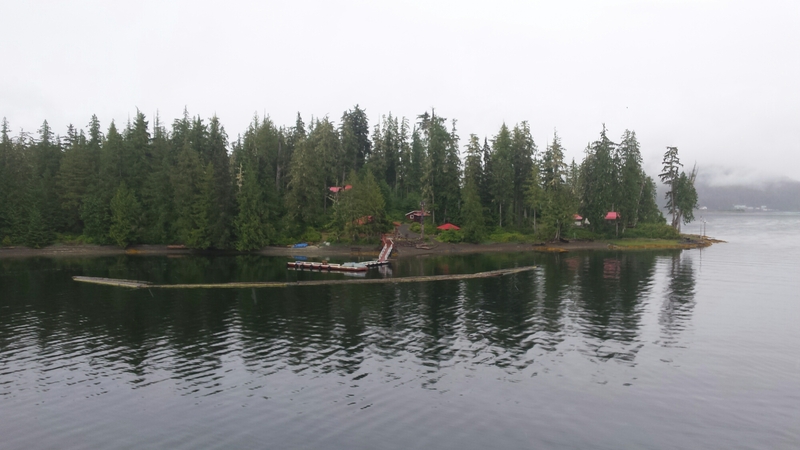 After our all day most of the night ferry ride from Port Hardy to Prince Rupert we woke to an overcast sky. A trip to the car found a conversation with a middle aged man. He told me that if we went to Dawson City to look up his friend Mitch to tell him that Stan says hi. Told him I would do just that. We shopped at Safeway. Old men pushed carts and loaded up volumes and volumes of food. One pair got mad at the checkout when their form of payment was rejected. A manager cooled them down. Did laundry and finished my article about ferry ride. Will post when it publishes. Also met a couple from Yellow Knife who spent almost 6 years in Rogers Park. They might still be living in Chicago but she could not get a job due to her immigration status and could not right her immigration status due to not having a job. 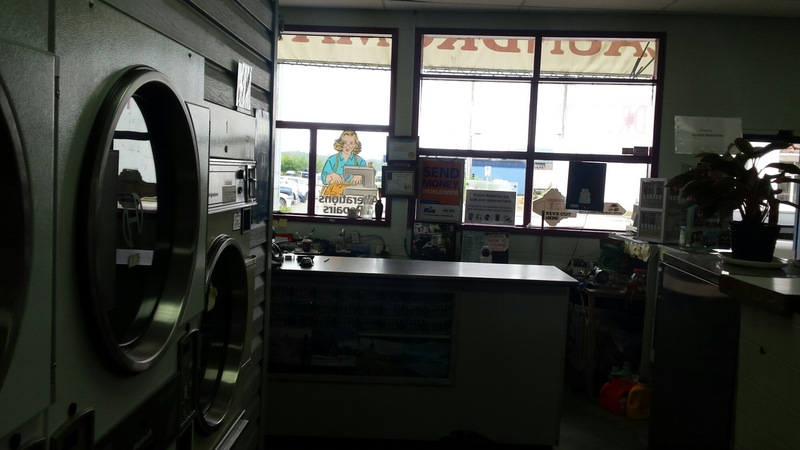 Similar story for the man working the laundromat who once lived in San Diego. Born in Tehran he has also lived in Tokyo and Vancouver. He greatly misses living in a city. 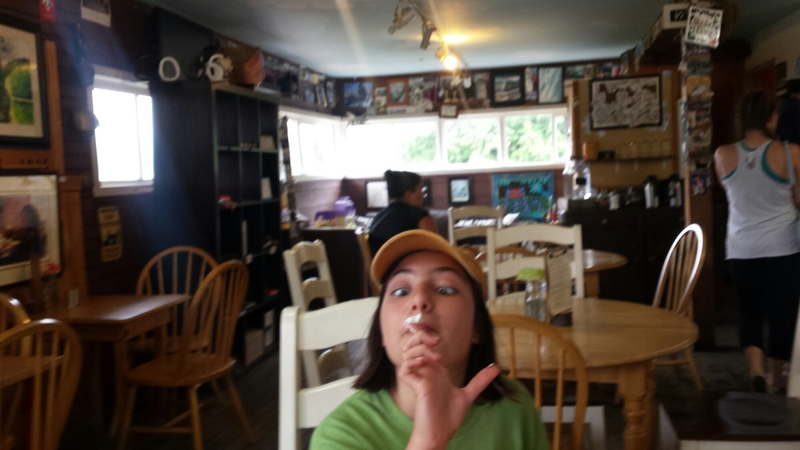 At the Cowpucino in Prince Rupert. Waterfront is called Cow Bay due to someone once transporting cows here. Am now drinking good dark coffee at Cowpucino. Great place with lousy 80s music. Owner told me his way of scrambling eggs via an espresso wand. Cannot wait to try it at home. 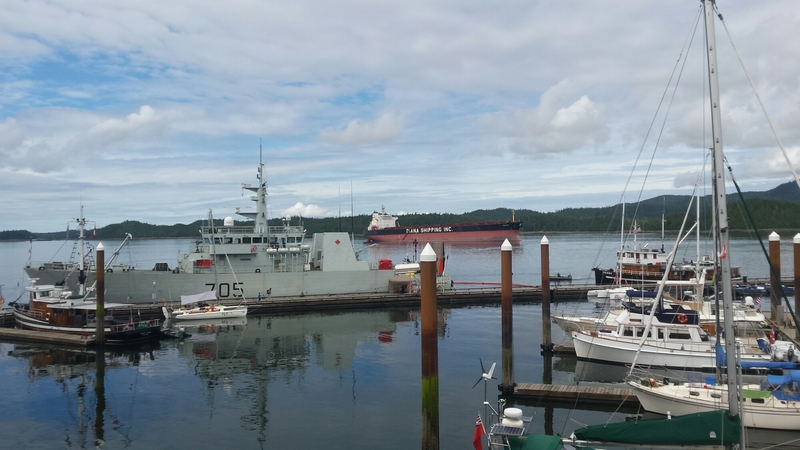 I like Prince Rupert. So does Henna. Corey is maybe less of a fan and thinks the place is mighty scrappy. If Monterey, California kept a few canning factories open and the housing prices (and visitors) low, it might look like here. Or if Prince Rupert relocated an hour south of San Francisco it would look a whole lot less worn. But you can’t just go around moving cities as easily as you can people. Right now we are happy to be exactly where we are. Even the music is growing on me. Later tonight (really early tomorrow morning) we take another ferry. And then we are in Alaska, a step closer and also further from home.